After learning the 4 basic operations of addition, subtraction, multiplication and division, it's time to learn how to use them in different combinations. To do this properly, we need to understand some rules of how the operations relate to each other. We do this by understanding the order of importance of each operation relative to the others. Rule: Addition and Subtraction have equal importance. This means that we carry out addition and/or subtraction in the order that they appear (from left to right). If you do the calculation in a different order, most of the time you will get a different result. So it is vitally important to get the order in the correct sequence. Let your child or student work with two operations first before progressing to more complicated expressions involving three, four or more operations. Rule: Multiplication and Division have equal importance. 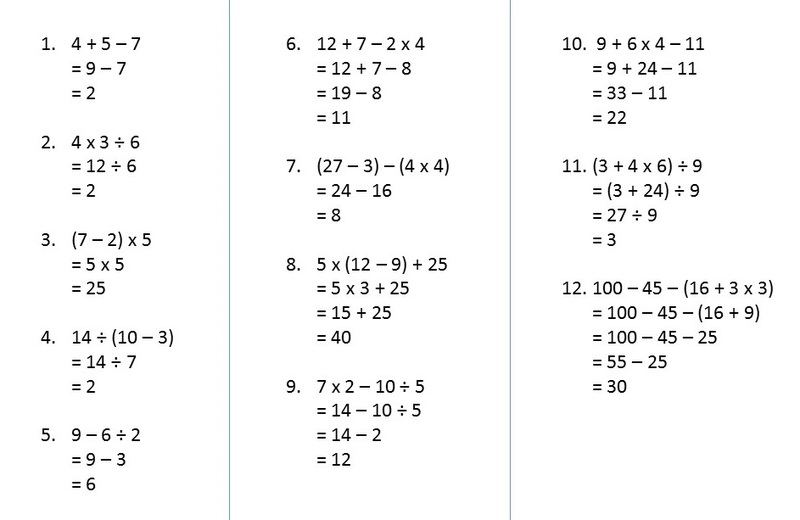 This means that we carry out multiplication and/or division in the order that they appear (from left to right). 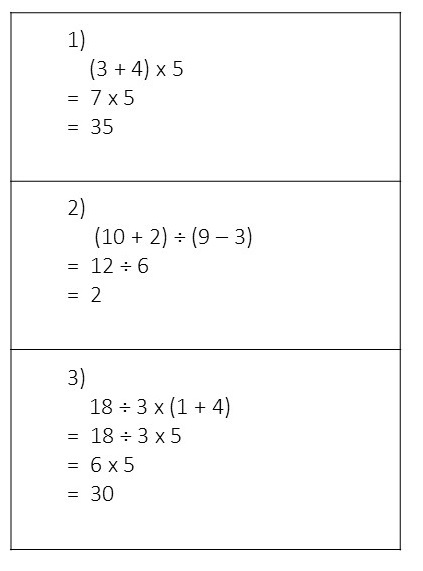 Rule: Multiplication and Division are more important than Addition and Subtraction. 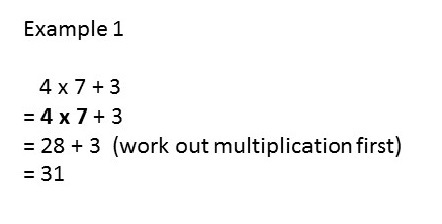 This means that we need to carry out Multiplication and Division first before we can carry out Addition and Subtraction. Rule: Parentheses or Brackets () are more important than each of the 4 operations. This means that we have to carry out whatever is within the parentheses () first before following the other rules.